Vanderbilt Landscaping of Nashville, TN has agreed to pay $18,000 in civil money penalties to resolve violations of the federal H-2B temporary nonimmigrant worker program following investigations by the U.S. Department of Labor’s Wage and Hour Division and its Employment and Training Administration. The company also agreed not to participate in the department’s foreign labor certification program for a period of three years under terms of a settlement entered with the department’s Office of Administrative Law Judges. The Employment and Training Administration of the DOL is charged with administering the H-2B program nationwide. The Wage and Hour Division ensures that all H-2B workers are paid the wages they have earned under federal law. In its application for H-2B workers, Vanderbilt Landscaping had agreed to comply with all aspects of the program, but a team of Wage and Hour Division investigators found that the company willfully violated some provisions by placing workers outside the approved area of intended employment, not conducting required recruitment of U.S. citizens and misrepresenting the company’s reason for the temporary need for H-2B workers. The company agreed to the settlement without admitting to any violations. In a separate case, Vanderbilt Landscaping recently agreed to pay $18,496 to 42 workers after an Wage and Hour Division investigation found workers were not compensated for visa and transportation costs that reduced their wages below the federal minimum wage. The company also failed to compensate workers for all hours spent on job duties, resulting in them not receiving overtime pay when hours worked exceeded 40 hours in a week. Back wages in that case have been paid to all workers who could be located. The H-2B program permits employers to temporarily hire nonimmigrants to perform nonagricultural labor or services in the United States. The employment must be of a temporary nature for a limited period of time, such as a one-time occurrence or for seasonal, peak load and intermittent needs. The H-2B program requires the employer to attest to the Department of Labor that it will offer a wage that equals or exceeds the highest of the following: the prevailing wage, the applicable federal minimum wage, the state minimum wage or the local minimum wage. That wage must be paid to the H-2B nonimmigrant worker for the occupation in the area of intended employment during the entire period of the approved H-2B labor certification. The H-2B program also establishes certain recruitment and displacement standards in order to protect similarly employed U.S. workers. The Fair Labor Standards Act requires that covered employees be paid at least the federal minimum wage of $7.25 per hour as well as time and one-half their regular hourly rates for every hour they work beyond 40 per week. The law also requires employers to maintain accurate records of employees’ wages, hours and other conditions of employment, and prohibits employers from retaliating against employees who exercise their rights under the law. Common Sense Counsel: if you are going to use these visa program to bring in foreign workers know and follow the rules. The H-2B non-agricultural temporary worker program allows U.S. employers to bring foreign nationals to the United States to fill temporary nonagricultural jobs. A U.S. employer must file a Form I-129, Petition for Nonimmigrant Worker, on a prospective worker’s behalf. There is a statutory numerical limit, or “cap,” on the total number aliens who may be provided H-2B nonimmigrant classification during a fiscal year. Once the H-2B cap is reached, USCIS may only accept petitions for H-2B workers who are exempt from the H-2B cap. For additional information on the current H-2B cap, see the “Cap Count for H-2B Nonimmigrants” link at http://www.blogger.com/www.uscis.gov/h-2b_count. · Step 1: Employer Submits Temporary Labor Certification Application to the Department of Labor. Prior to requesting H-2B classification from USCIS, the employer must apply for and receive a temporary labor certification for H-2B workers with the U.S. Department of Labor (or Guam Department of Labor if the employment will be in Guam). ·Step 3: Prospective Workers Outside the United States Apply for Visa and/or Admission. After an employer’s Form I-129 is approved by USCIS, prospective H-2B workers who are outside the United States may apply with the U.S. Department of State at a U.S. embassy or consulate abroad for an H-2B visa (if a visa is required) and, regardless of whether a visa is required, apply to U.S. Customs and Border Protection for admission to the United States in H-2B classification. H-2B petitions may only be approved for nationals of countries that the Secretary of Homeland Security has designated, with the concurrence of the Secretary of State, as eligible to participate in the H-2B program*. The list of H-2B eligible countries is published in a notice in the Federal Register (FR) by the Department of Homeland Security (DHS) on a rolling basis. Designation of countries on the H-2B list of eligible countries will be valid for one year from publication. Generally, USCIS may grant H-2B classification for the period of time authorized on the temporary labor certification (usually authorized for no longer than one (1) year). H-2B classification may be extended for qualifying employment in increments of up to one (1) year. The maximum period of stay in H-2B classification is three (3) years. An individual who has held H-2B nonimmigrant status for a total of three (3) years is required to depart and remain outside the United States for an uninterrupted period of three (3) months before seeking readmission as an H-2B nonimmigrant. See 8 CFR 214.2(h)(13)(iv) for further details on departure requirements. Any spouse and unmarried children under 21 years of age of an H-2B worker may seek admission in H-4 nonimmigrant classification. 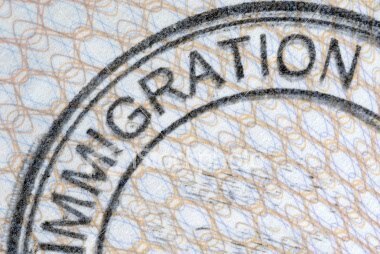 Family members in H-4 nonimmigrant classification may not engage in employment in the United States. · Early Completion: an alien who completes the H-2B labor or services for which he/she was hired more than 30 days early.